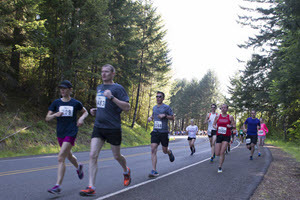 Founded in 1970, the Oregon Road Runners Club (ORRC) is the second oldest and largest Oregon running club, hosting annual running events and training, as well as supporting runners dedicated to promoting running as a competitive sport and as healthy exercise. We are a volunteer driven organization from the race day volunteer to the Board of Directors. Learn more about the benefits of joining the club. ORRC obtained non-profit 501 (c)(3) status from the IRS in 1978. Click here to see that IRS determination. 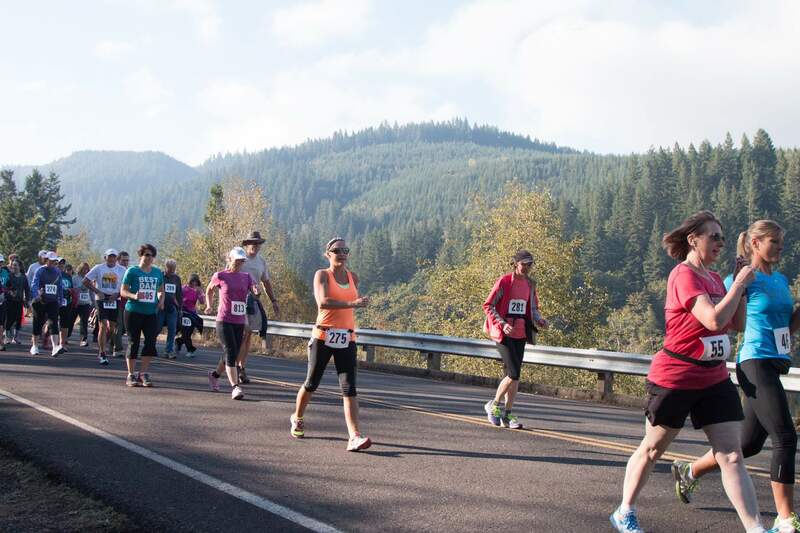 The Oregon Road Runners Club promotes running, walking, and competitive events for the benefit of all — for fitness, fun, safety, health, and quality of life. ORRC uses the term “running” as a catch-all word that encompasses the broad spectrum of “running” including competitive running, jogging, fitness walking, race walking and wheelchair fitness on roads, trails and tracks. The Oregon Road Runners Club (ORRC) was founded in Seaside, Oregon in 1970 as an outgrowth of the Trail’s End Marathon, the first marathon in the Pacific Northwest. 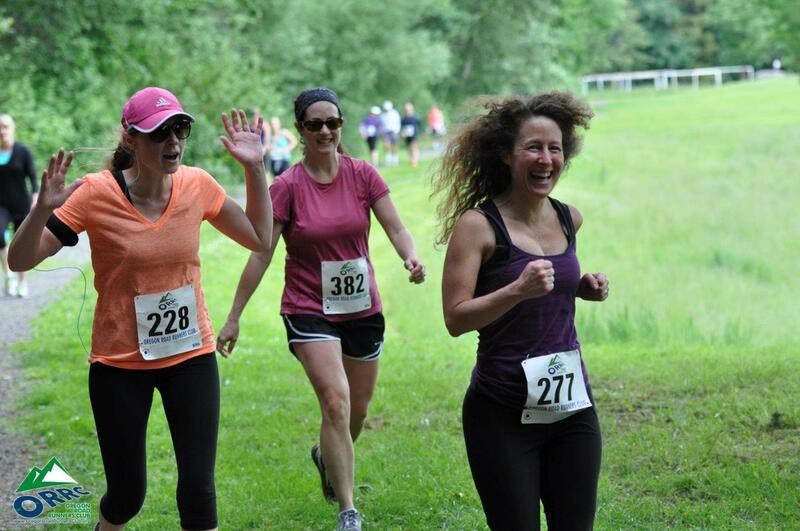 Since its humble beginnings, ORRC has remained true to its mission to promote running and walking for the benefit of all and continues to be a Northwest resource for runners and walkers. With approximately 1,000 members, we are the largest running club in the West and among the top ten largest running clubs that are members of the national Road Runners Club of America. Please read the excellent history of ORRC, compiled by past-President, Tracy Reisinger – click here. In June, 2013, the ORRC Board of Directors charged Stephen Wright, Todd Janssen, Kelly Barten, and Valerie Pratt to develop and staff a Strategic Plan Task Force. These individuals went to work, forming four subcommittees, staffed with board and ORRC members. These committees included Strategic Planning committee, Marketing committee, Finance Committee, and Race Operations Committee. The ultimate goal was to present a written five year ORRC Strategic Plan to the board of directors in the Winter, 2014. As the Strategic Planning Task Force learned early-on during their discussions, strategic planning and operational planning tends to overlap. However, it is important to be clear that strategic plans outline core strategies while operating plans, which contain both long-term (three to five years) and short-term(one to two years) objectives, outline specific action items and desired outcomes. Both strategic planning and operational planning are important and need to be done well by ORRC year after year. This report outlines important strategies for ORRC, including the 10 Point Strategic Direction along with responsible growth and financial stability strategies for the next five years. The entire ORRC Strategic Plan will be presented to the Board of Directors at an April workshop for their review. The Strategic Plan that follows is a “living document” that will guide and direct the work of ORRC over the next five years. To be one of the leading running clubs in Oregon that serve the needs of individual runners and make their safety a top priority. To have sufficient financial support from members, sponsors and individuals to ensure organizational stability so that ORRC can be outward-focused in the promotion and support of running in Oregon. To provide training and education programs for runners, running coaches, race directors and other special interests that emerge as priorities of the sport emerge. To have a major public profile and major name recognition as a leading voice for Oregon runners and events, with increased use of emerging technologies as a means of communication to reach out to the public. To be a leading force in ensuring that participation in running remains constant or grows over the next 5 years through community support of event hosting, networking with affinity groups and with the general public, and maintenance and promotion of running as the most affordable form of regular exercise. To engage in the best practices in organizational governance and management and to encourage our members to operate according to our standards of ethical conduct to ensure integrity in the sport of running and with the ability to adapt positively to a changing world, which includes generational leadership changes. To continually invest in and improve existing programs and services, develop new programs and services that are beneficial to the members, and to seek maximum participation in our programs and service by our members and the community. To be a major, collaborative partner with schools, health organizations and other running related organizations, but only as long as the partnerships enable ORRC to achieve our strategic goals as an organization and for the sport of running. To work with members to actively engage the next generation of runners to participate in ORRC events and administration to ensure the long-term stability of ORRC, the sport of running, and develop future leaders for the sport. 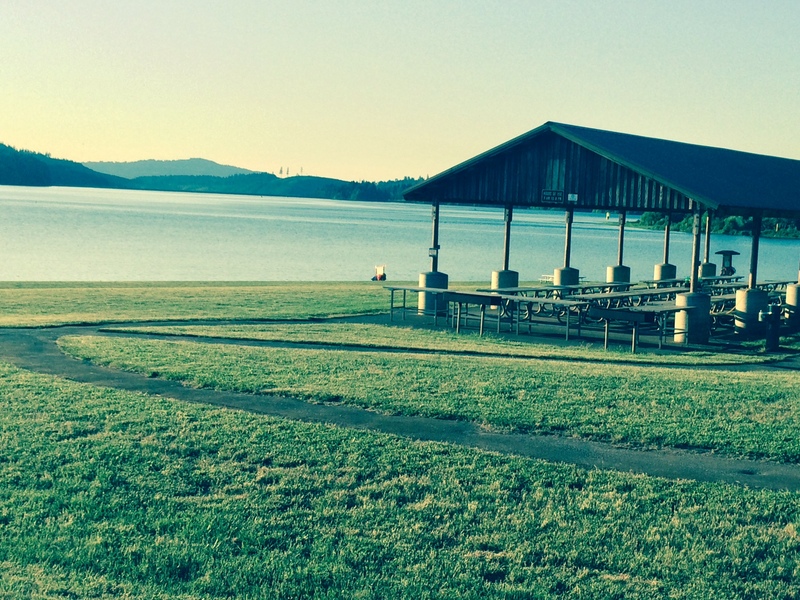 To contribute time, talent and financial support to the larger Oregon community. This is in conjunction with developing a strong and large volunteer base needed to support community and ORRC events. ORRC has an action plan which follows the ten points listed above – click here to read it.